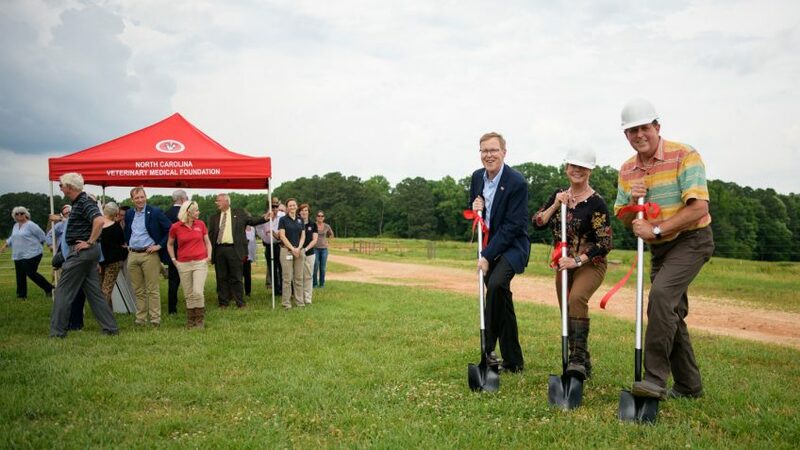 NC State Veterinary Medicine took another step forward in its bold efforts to expand its equine program during a groundbreaking ceremony May 21 for the new Reedy Creek Equine Farm. 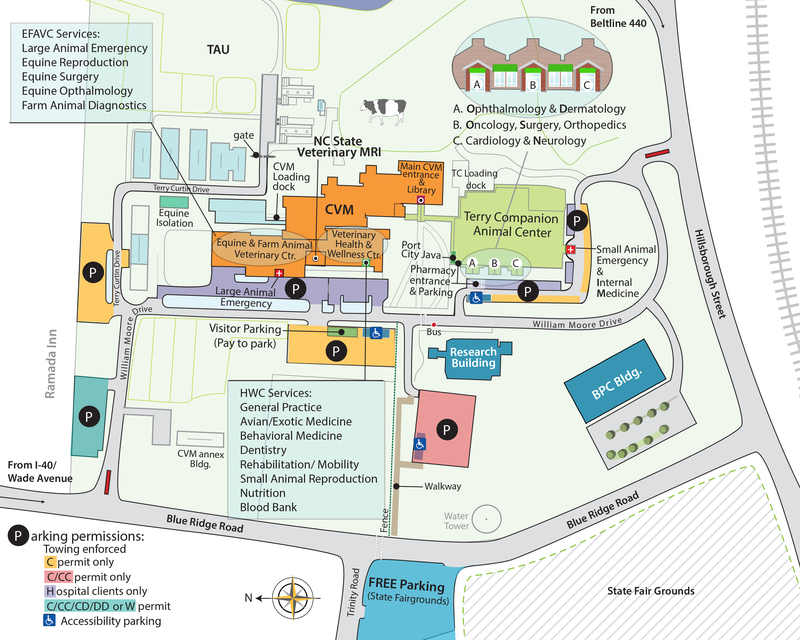 The facility, located minutes from the CVM campus, will be a modern home for equine reproductive services and a shared space housing faculty and students from the NC State College of Agriculture and Life Sciences and the CVM. In dedication remarks, CVM Dean Paul Lunn emphasized the educational and service potential of the new equine farm and the enhanced partnership of the two colleges. 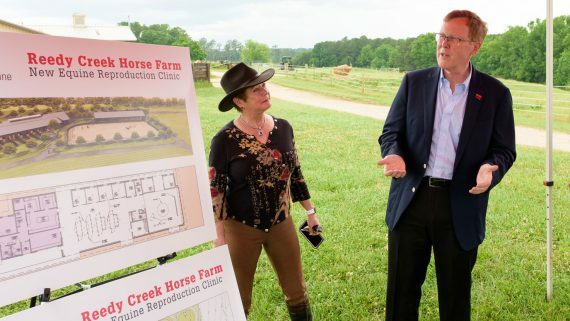 He said the farm will not only make equine reproductive services more accessible to the Triangle, but add momentum to the college’s effort to update and enlarge existing equine services over the next few years. Dean Lunn reviews the Reedy Creek Equine Farm site plan. At the ceremony, North Carolina Veterinary Medical Foundation President Cliff Leath noted the importance of how quickly improvements to the equine service are coming to fruition. Leath and his wife, Lynn, are major donors for the farm. The Reedy Creek Equine Farm, along with the recent establishment of the Tiffany and Randy Ramsey Equine Sports Medicine Program, are part of a $37.9-million plan to provide state-of-the-art equine services at NC State. Help provide state-of-the-art equine services at NC State.